The paint is peeling off my front door. I am going to repaint it and need to know the best way to do it. It is made of metal/steel not wood. I will be painting the exterior side and the interior side of the door. As of now there is only one coat of paint on the door and it is peeling up. For repainting purposes, what is the best way to prep, prime, and paint a metal door? Do I need to sand it down all the way to bare metal? What type of paint should I use to prevent peeling in the future? Always sand the door down properly or the new paint will not adhere. If the door is not sanded down correctly, the new exterior paint will not stick and eventually bubble up and peel off. Exterior paints have different chemicals and oils in them to help withstand the weather. Sanding the door down properly will let the exterior paint stick and adhere correctly. Always use an exterior type of paint when repainting the outside of your door. When you paint a door that faces outside, if you use an interior type of paint, the paint will stain, possibly dissolve, and not withstand the weather. 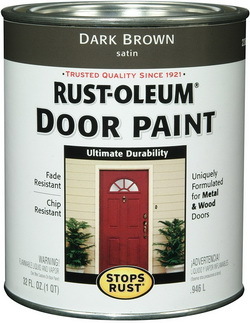 Always be sure you use an exterior paint when you are repainting your front door, whether it is metal or wood. 1. Remove the door from the hinges and lay it down on a flat surface. NOTE: If you attempt to paint the door on the hinges while the door is vertical, you will have large drips and runs in the paint. 2. Remove all hardware on the door such as hinges, door knob, deadbolt, etc. 3. Prep the area for sanding and painting by laying down a few cheap plastic tarps. 4. Use a wire scraper brush to scrape off the old peeling paint. 5. 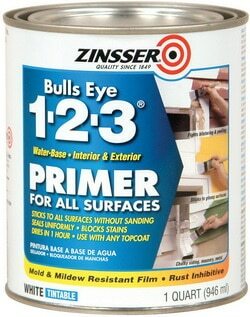 Use an orbital sander with different grits of sandpaper and sand off all the existing old paint. 6. 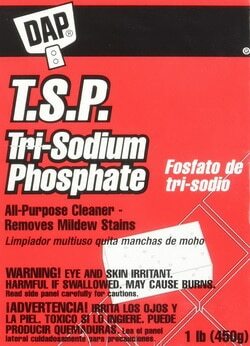 Use a TSP solution (Tri-Sodium Phosphate) to clean the door to be ready for priming and painting. NOTE: You can use a type of exterior paint that already has the primer and sealer in the paint if you choose. – Always paint in the shade. – Try to paint when the temp is about 75F. – Do not paint when there is wind. 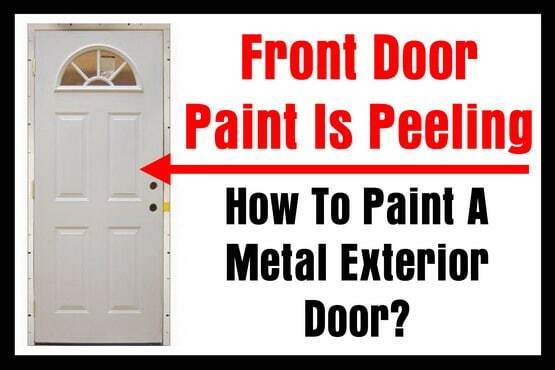 Need help with repainting a metal door? Let us know what you need assistance with by leaving your question below and we will respond with helpful tips. I need to repaint a steel door that has already been repainted a couple of times by the builder. Each year it just bubbles and flakes. Now we are out of warranty and I will need to do it. I was told at the hardware store that our door gets too much sun and therefore, gets too hot. Is there anything I can do about this without scraping the door altogether and buying a fiberglass one? I have an exterior metal door that gets direct sunlight. Two years ago it was blistering and peeling so I sanded it down to bare metal and then applied a primer before painting. I used an exterior paint. After two years the door is doing the same thing and peeling and blistering is significant. It’s a double door and the other side is fine. I need to paint a metal door that has one coat of paint,how do I need to prepare the door to be repainted? Previous post: Samsung Dryer Error Code E3 – How To Clear? – What To Check?